Whether you are a brand, advertising your product or a human resources director willing to use gamification methods to improve your staff abilities, you are on the right track. Come to us with an idea or “half of an idea” and discover our versatile, adaptable, cost-controlled serious games solutions. Fishing Cactus worked hand in glove with two neuro psychological practitioners from the Erasmus hospital in Brussels to produce a therapeutic serious game called R.O.G.E.R. The software backs neuro psychologists while testing potentially brain-damaged patients. It operates on Xbox 360 or PC through Kinect, displaying a full 3D environment during the test. Master F.I.N.D is an investigation game to educate teenagers about what can happen on social networks and the consequences that could result of their actions. Le Pass Sport was made to make children aware that science is present everywhere, even in sports. 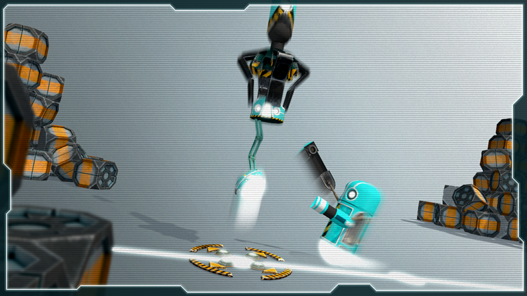 3 mini games to learn that applied physics can be fun. Year 1815, many battles rage across Europe and losses on each side, are inevitable. Play in the heart of history and become a hero of the battle of Waterloo ! "I'd like to hire you for an advergame, an electronic game, I think that's how young people call it." I don't how what the game mechanisms would be or how it would work but one would play and learn a lot without being bored stiff, never... It would also be interactive." On one hand, you come to us with an idea in mind, or a concept… or even a semblance of idea (don't worry about that, that's part of our daily job). On the other hand, we deal with all the rest. Fishing Cactus team is tantamount to 30 super talented young people: skiflful artists, creative game-designers , seasoned programmers and a handful of 3D animators with inimaginable abilities. We handle your project from 0 to final delivery and future updates. "Mmmh… How much does it cost? 235 Euros on a 10-months payement? 10 Million cash?" Once we have set up your requirements, we will be able to give you a budget overview for your future hit. You have already endorsed your project? Ok then, we'll quickly get to work to deliver your new baby ASAP. provide you with our know-how. To us you're not just another "client" that we will display in our customers showcase like a trophee. Your serious game experience is going to be different with us. Indeed, we claim ourselves to be original and creative and we'll try to push the limits. To achieve such an outcome, we put every effort into delivering you what we commited to. We handle your project from A to Z including all technical constraints you might require (SCORM compliant, database driven, e-learning platform integration, scoreboard, variables tracking, ...).We are also behind you after the project is finished and delivered as we continue to provide you feedback, guidance and updates to make sure your project still runs in 5 years time and stay up to date! Come and pay us a visit to see how different we are, our state of mind and see that our priority is your full satisfaction. 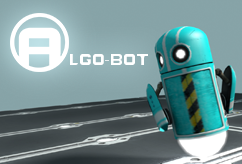 In Algo-Bot you’re an engineer controlling a little robot through coding semantic in order to clean up toxic wastes in a nuclear facility. R.O.G.E.R, developed in collaboration with reputable neuro psychologists, has been designed to help medical practitioners with the diagnosis of brain-damaged patients. Mundaneum « Renaissance 2.0 » is a compelling serious game developed for the Mundaneum to gamify the exhibition's visit.